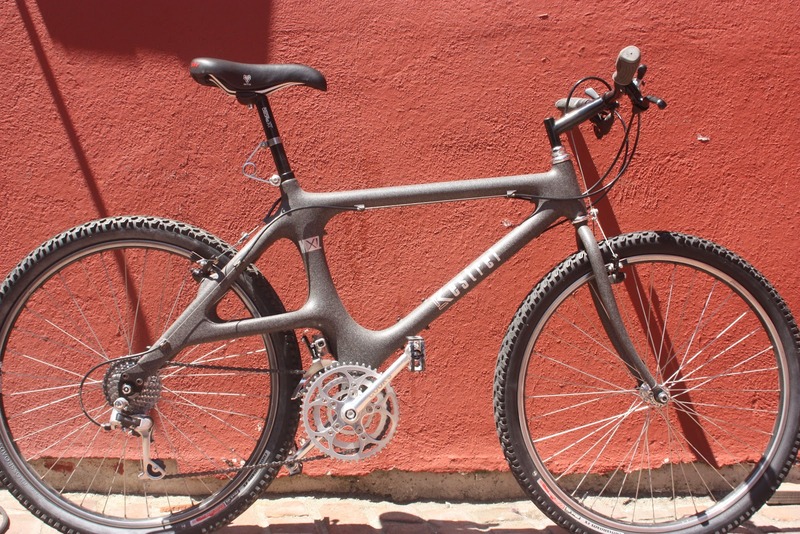 The Kestrel MXZ, one of the earliest production carbon mtb frames. I remember seeing one as a kid at the LBS in Florida. Seeing this photo, I can’t believe I thought this bike was so HOT back then. Look at those elevated chainstays, or “E-stays” as they were called. OMG, they eliminated chainslap! Technology was amazing! I remember the brand Alpinestar had E-stays too. Sure road bike style and form have changed a lot since the 1980s, but it’s nothing compared to offroad bikes.